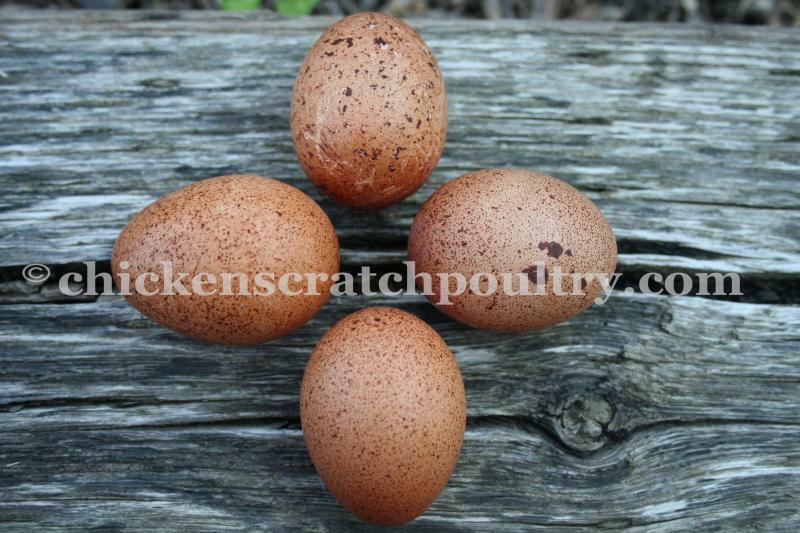 Chicken Scratch Poultry - WelsummerAmazing Dark Brown Eggs With Spots & Dots Welsummers are a breed from Welsum Holland, They lay a large, dark, terracotta-brown egg. Welsummers are a very calm, friendly bird and a favorite on the farm. This is the chicken that played the Corn Flakes rooster "Cornelius". Welsummer eggs are very pretty with spots and dots. A hen will lay the same egg pattern throughout her life so you can select for more or less spots, large or small spots by hatching the eggs you like best. The Welsummer hens are a very beautiful shimmery golden color, very striking in the sunlight. Our breeds did not come from a large hatchery but only from the best line of Welsummers around. You can not get a dark spotted egg from a large hatchery Welsummer hen, I know this information form speaking with our customers. It pays to have an open line of commincation with your customers! 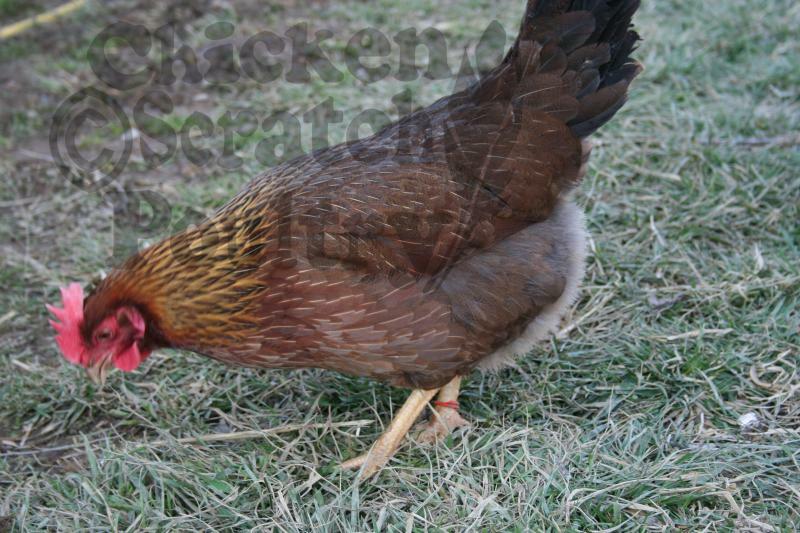 Welsummers are a breed from Welsum Holland, They lay a large, dark, terracotta-brown egg. Welsummers are a very calm, friendly bird and a favorite on the farm. This is the chicken that played the Corn Flakes rooster "Cornelius". Welsummer eggs are very pretty with spots and dots. A hen will lay the same egg pattern throughout her life so you can select for more or less spots, large or small spots by hatching the eggs you like best. The Welsummer hens are a very beautiful shimmery golden color, very striking in the sunlight. Our breeds did not come from a large hatchery but only from the best line of Welsummers around. You can not get a dark spotted egg from a large hatchery Welsummer hen, I know this information form speaking with our customers. It pays to have an open line of commincation with your customers! Please read the hatching egg page before placing an egg order. To place a hatching egg or started young pullet order go to the "Contact Us" page and leave a message. Minimum order of 16 day old chicks please, you can mix the order with other breeds. All chicks are sold straight run. If you would like fewer than 16 chicks please contact us for information.